Sheffield Limo Hire Service Specialise in all types of Party Limousine Hire Sheffield and Hummer Hire for Birthday Parties in Sheffield. 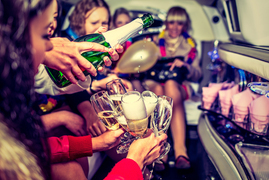 How To Book A Memorable Sheffield Birthday Limo Hire Experience in Sheffield in Just 3 minutes. It’s not just Celebrities that deserve the red carpet treatment on their Birthday; You do too! At Sheffield Limousine Service we feel that every Birthday, not just the special ones, are worth celebrating and it’s that celebration atmosphere that Sheffield Limousine Service can provide for you and up to fifteen guests on a night (or day) to remember! 1. We Know Where to Go. At Sheffield Limos, our Chauffeurs have the local knowledge to ensure that you have a special Birthday experience. We know where’s hot and where’s not if you’ve not been out for a while. From the West End side to the Nightclubs along Wellington Street and onto Leadmill road. Not forgetting a drive past the Leadmill for a wave at the queues, finishing off with a nice Wine Bar on Charles Street. 2. Organisation. After giving us your particular instructions, such as a surprise pick-up for your friend on their Birthday, you can leave the rest of the night to us. We have connections to ensure that you’re not only given a five-star champagne while travelling in the limousine but also on scheduled stops throughout the night where you’ll be treated like A-Listers from your emerging entrance until your send off and onto the next venue, carrying on the party to your choice of music. 3. No Queues. Our chauffeurs take care of passes, so you don’t have to queue out in the cold. All venues are pre-booked in advance so that your guests and yourself can step out of our Limo if front of the venue. Whether it be Babylon, Amnesia or the Corporation Nightclub you can walk straight past the queue. Everyone will be wondering who you are as you get the red carpet treatment. 4. Flexibility. The Limo is yours for the night (or day), so if you’d rather cruise the City all night listening to your choice of music on our state of the art sound system, LED screens and party lighting, then your wish is very much our command. Sheffield Limo Hire Service strives to make all of this happen for you and your party friends to have a special Birthday night like no other, turning heads as you go, you’ll certainly be the star on your special day. To make this party a reality, just fill in the form on the right-hand side for a ‘No Hassle Guaranteed’ FREE quote (We Promise). 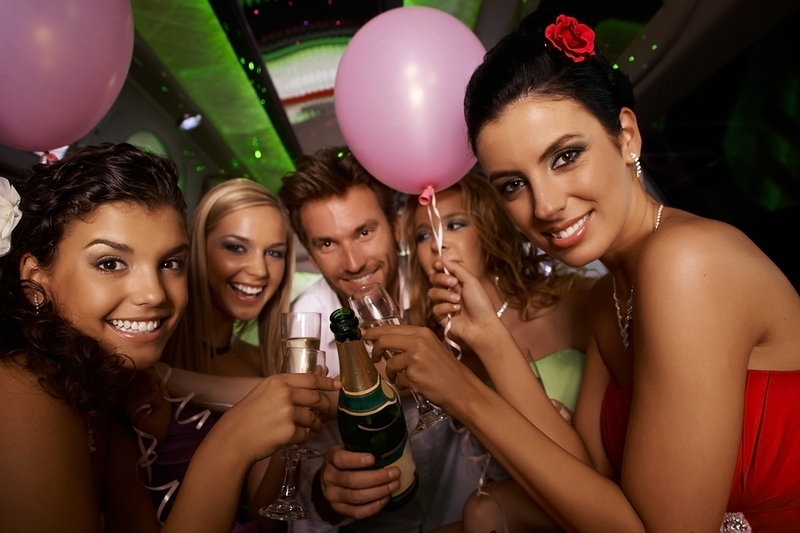 Sheffield Limos pride itself in offering the best Birthday limo hire Sheffield prices. Or call today on 0114 303 1540 and ask for any special offers that we might be running.